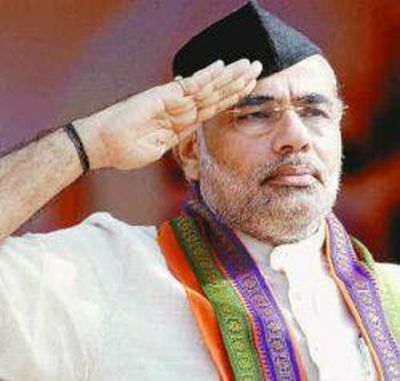 Rashtriya Swayamsevak Sangh (RSS) Chief Mohan Bhagwat Wednesday backed Gujarat Chief Minister Narendra Modi as a candidate for the prime minister's post and said that the country should have a PM who propounded Hindutva. "To keep alive the Hindutva ideology, the Hindu 'samaaj' (society) should come together. And the country should have a prime minister who believes in that ideology or propounds that view," Bhagwat told reporters here.